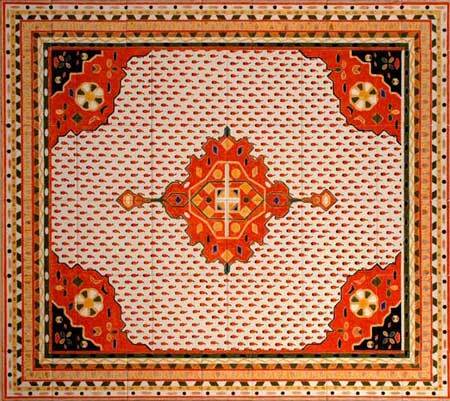 related to the courses on symmetry that I taught in UCC. 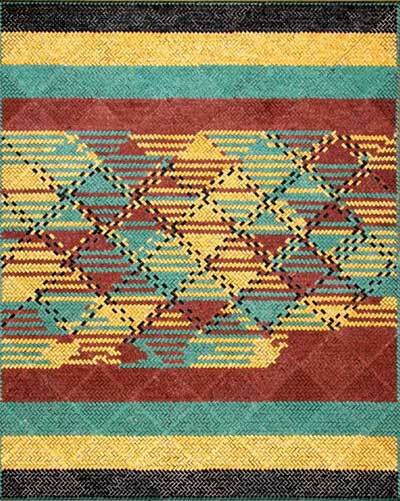 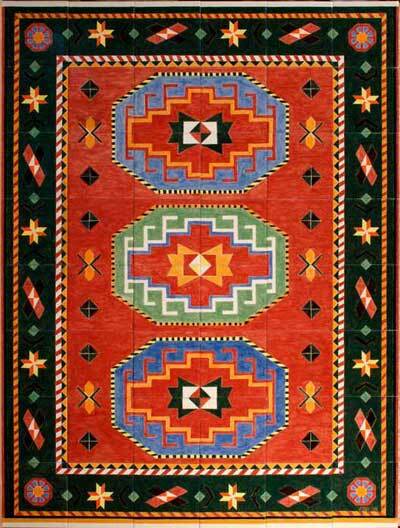 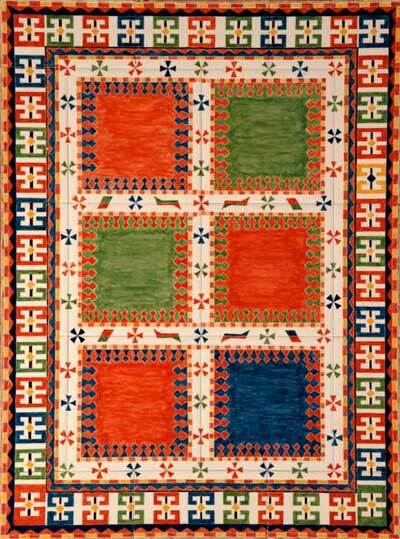 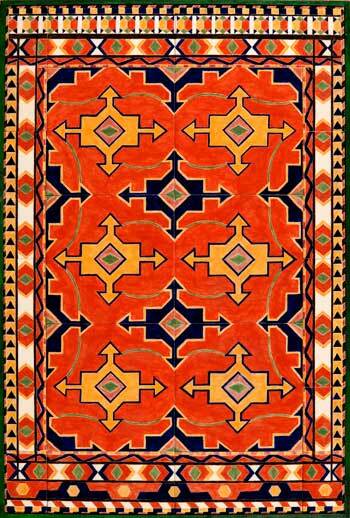 which occur when a new wool batch is added as the rug is made, see "Kazak 2" for example. 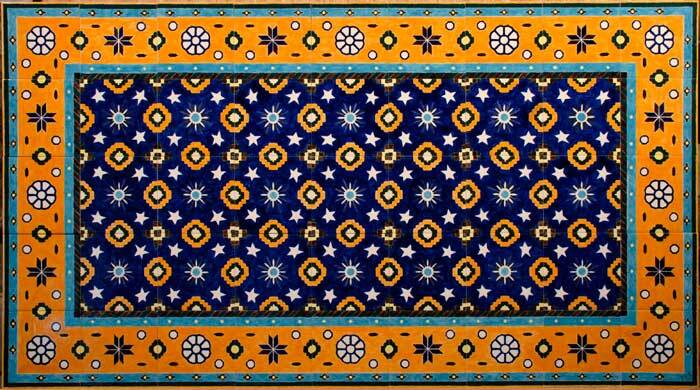 "Tetouan Panels" 26" x 10" (66cm x 25cm) Two of eight panels. 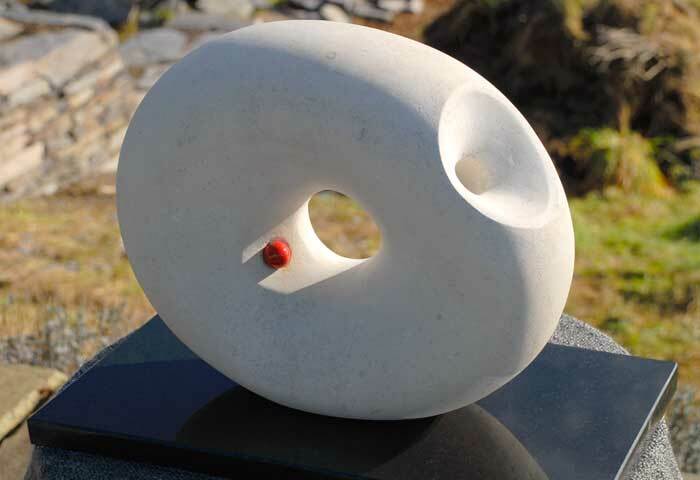 The Studio, Lowertown, Schull, Co Cork.